On a recent trip to the Cape, as part of its maintenance program QRAM tested the use of Drone Technology, to check out the broadcast Towers. Gerry Pyne from Broadsoft bought along a drone which we tested on location. The only problem we had was at one tower location the drone was attacked by a hawk who buzzed the intruder. 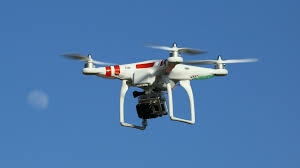 The use of drones is a new phenomena now across the world and they have many uses. Apart from intelligence the technology is good in applications like QRAM checking the state of the many towers in the region. The information is gathered on a camera supported under the drone and mounted on a gimble which gives a good shot of any area on the tower. The operator has to be very carful not to get tangled up in the guy wires. The application in this type of remote work is invaluable and allows better replacement planning for the Remote Indigenous Media organisations. ← QRAM Joins Satellite Club.